Saw palmetto is a medicinal plant, native to the eastern United States, whose use originated with the Seminole tribe in Florida, according to Medicinal Herb Info. The 1-inch fruits resemble olives because of their dark purple or black color. These fruits are harvested and their extract is used to make medicinal treatments. Some saw palmetto supplements are raised organically, others are not. 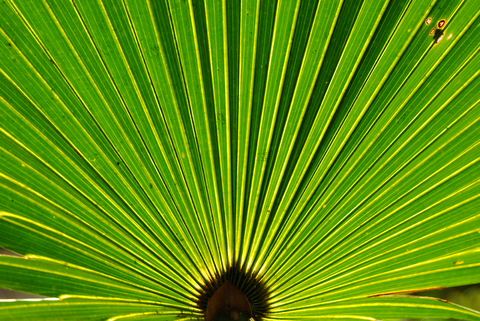 Consult your health care provider before you begin to use saw palmetto to treat a health condition. The term “organic” refers to the way a plant is grown. Organic farmers use no pesticides, genetically modified organisms, radiation, sewage sludge or conventional fertilizers, according to Organic.org. Farms have to be inspected before they can be certified by the U.S. Department of Agriculture as organic. The companies involved in transporting, handling and processing organic foods also need to be certified by the USDA as organic. Saw palmetto extract that is certified as organic has met all these criteria. Plants that are not organic may have been rasied using any of the processes forbidden for organic farming, so supplements that are not organic may have unwanted additives or contaminants. Saw palmetto supplements are primarily used as a natural treatment for the symptoms of enlarged prostate, according to MedLinePlus. Saw palmettos must be taken for as long as two months before it will begin to offer any improvement. Some men have reported that taking saw palmetto supplements helped them grow thicker hair, but there have been no supporting research studies to confirm this result. MedLinePlus adds that saw palmetto may also be used to treat migraines, chronic bronchitis, asthma, sore throat, colds and coughs. Whether or not the supplements are from an organic source does not change their potential uses. Don’t take saw palmetto if you are pregnant or breastfeeding, since it may be dangerous for the baby or pregnancy, according to the Memorial Sloan-Kettering Cancer Center. People who take blood thinners of any kind should avoid taking it, due to the risk of excessive bleeding. If you take birth control pills or any form of estrogen, avoid taking saw palmetto, since it will interfere with their actions. If you take saw palmetto with birth control pills, use another form of birth control as well. The label on the supplement packaging should tell you whether it is from an organic source or not. Whether you decide to take non-organically grown saw palmetto or organic saw palmetto supplements, you have a variety of forms from which to choose. You can find the fruit in dried or ground form, tablets, capsules, tea, infusion or liquid extract, reports the National Center for Complementary & Alternative Medicine.